The Secret of Sarah Pennington: The Secret of Sarah Pennington - Givers of Civilization? The Secret of Sarah Pennington - Givers of Civilization? 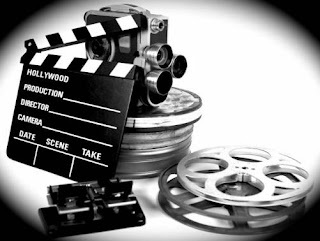 While low budget producers may not have a lot of money or access to the best equipment, there is one essential ingredient they must possess, passion. I am extremely fortunate to produce “The Secret of Sarah Pennington” with Charles Stanley and Doug McAbee. Charles is extremely passionate about visual storytelling and Doug is quite the genius in graphic design, creating visual effects and storytelling. “The Secret of Sarah Pennington” has their fingerprints all over it. We work together well because we all share this passion for production. What I call passion, author David McCullough refers to as energy. 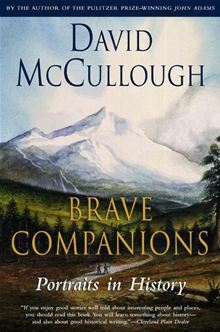 McCullough wrote Brave Companions a book of profiles covering such people as Harriet Beecher Stowe and the Robeling brothers. Where did they find the time or energy – if only to write all those letters? Or to keep such diaries? I wonder if perhaps it was because tuning out boredom had not yet been made so easy as in our day, before commercial entertainment took over in American life. Those I have written about here nearly all led lives of active discovery and right to the last. They are immensely charged, renewed by what they do. Their work and interests are inspiring forces. Harriet Beecher Stowe felt obliged to make herself useful. But then, I see now, they nearly all do in these stories. With the books they write, their bridges, pictures, their breakthroughs in science, the children they raise, their record journeys, the risks they take, they are givers of civilization. Am I bold enough to claim Charles, Doug and I are “givers of civilization?” Hardly, we haven’t written best sellers, built bridges or had scientific breakthroughs. Yet I feel a kindred spirit to the people described in his book as I will say we are driven by our passion to see our goals completed. No “The Secret of Sarah Pennington” isn’t an Oscar winning picture, but we broke new ground with this movie and I am pleased with the outcome.